Nunes’ announcement came as the House Ethics Committee released a statement disclosing that the committee was investigating public allegations that Nunes made unauthorized disclosure of classified documents. Nunes was not pushed by House Republican leadership to recuse himself, but it was not helpful to have other Republicans, notably Sen. John McCain (R-AZ) and Sen. Lindsey Graham (R-SC) join Democrats in questioning his motives and competence. Nunes’ actions further demonstrated the need for an independent inquiry into Russia’s actions during the campaign, Schiff said. The recusal is temporary and as soon as possible, the chairman intends to resume full control of the committee as soon as the House Ethics Committee resolves the charges made by left-wing groups, the source said. 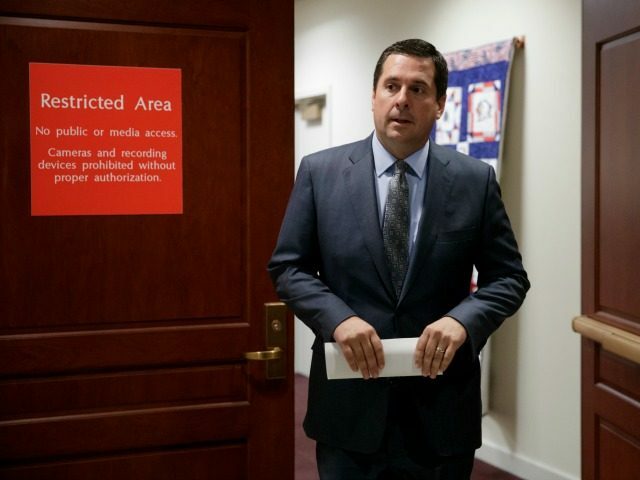 The source said Nunes hopes the Ethics Committee will work on his case during the Easter recess so the investigation can be wrapped up as soon as possible. Capitol Hill conservatives are now watching to see if Nunes will also recuse himself from the probe into former national security adviser Susan Rice.